Select whether the employee is paid weekly, fortnightly, 4-weekly or monthly from the drop-down menu. If based on a set rate each pay period, enter the amount in the field provided. If based on an hourly rate, enter the employee’s standard hourly rate in the field provided. 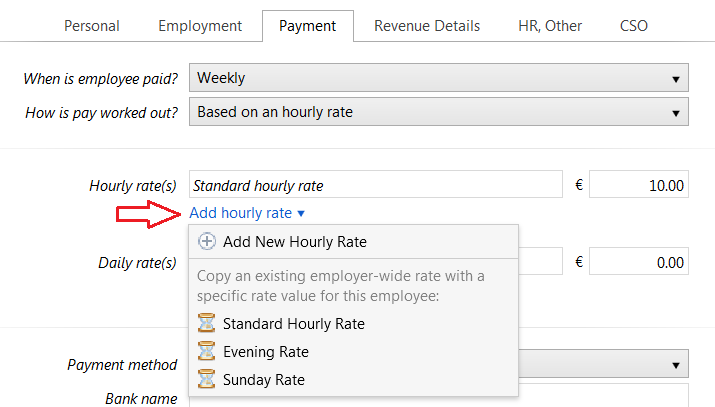 If more than one hourly rate applies to the employee, click Add Hourly Rate to set up another. Either enter a new hourly rate or select an existing employer-wide rate from the listing. If based on a daily rate, enter the employee’s standard daily rate in the field provided. 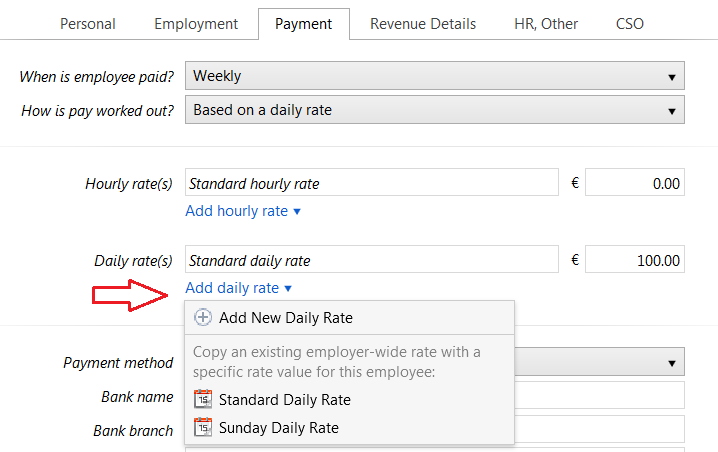 If more than one daily rate applies to the employee, click Add Daily Rate to set up another. Either enter a new daily rate or select an existing employer-wide rate from the listing. The employee’s payment details are now complete. Now select the ‘REVENUE DETAILS’ tab to continue to set up the employee’s record.